This private tour in Tangier is focused on the old part of the city and its main attractions. It is worth noting that the tour is carefully planned, and you won’t have even a single minute to get bored. Moreover, you won’t have to worry about anything. We will take care of the transportation and all the other things. We will begin the tour from the Moroccan Kasbah – an ancient fortification (15th century). The palace is very ancient; it was built more than four centuries ago by the sultans. It is famous for its matchless carved wooden ceilings and remarkable marble courtyard. During the tour you will see the snake charmers all over the city. We will walk along the twisted Moroccan streets and visit several spice Berber markets. 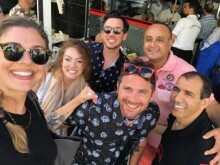 After several hours of the tour we will visit a typical Moroccan restaurant where you will have an opportunity to taste some of the most popular Berber dishes. 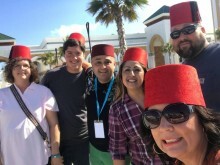 As your personal private guide in Tangier I will be assisting you during the tour and telling you all the interesting information about each an every place we come across. During the tour we will also visit narrow maze-like streets of the Tangier medina. By the way, medina literally means the old city. There are various medinas all over Morocco, and these old districts are car-free, and sometimes even bicycles and motorcycles are prohibited there.